A simple and sleek four-tiered Tibetan Ritual Rice Pot with a vintage antique finish and Tibetan-inspired motifs. It is used to store raw grains such as uncooked rice or barley as well as other ritual substances for pujas and rituals. 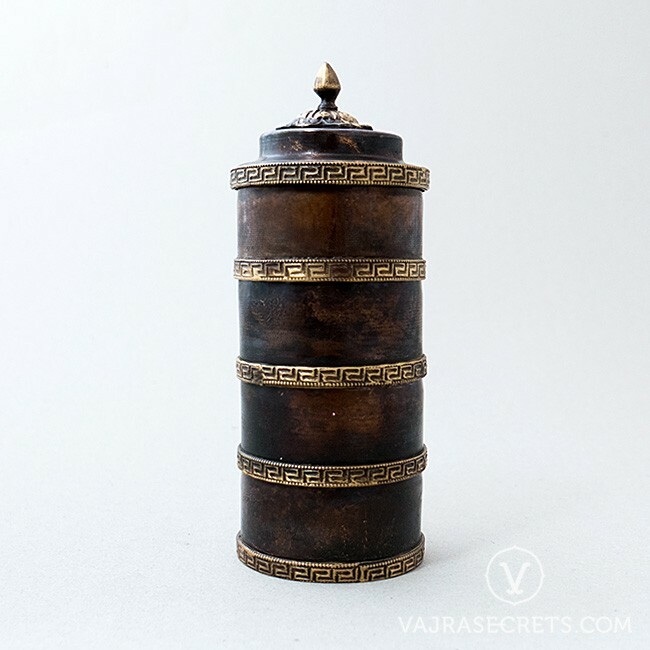 A simple and sleek four-tiered Tibetan Ritual Rice Pot with a vintage antique finish and decorated with Tibetan-inspired motifs. 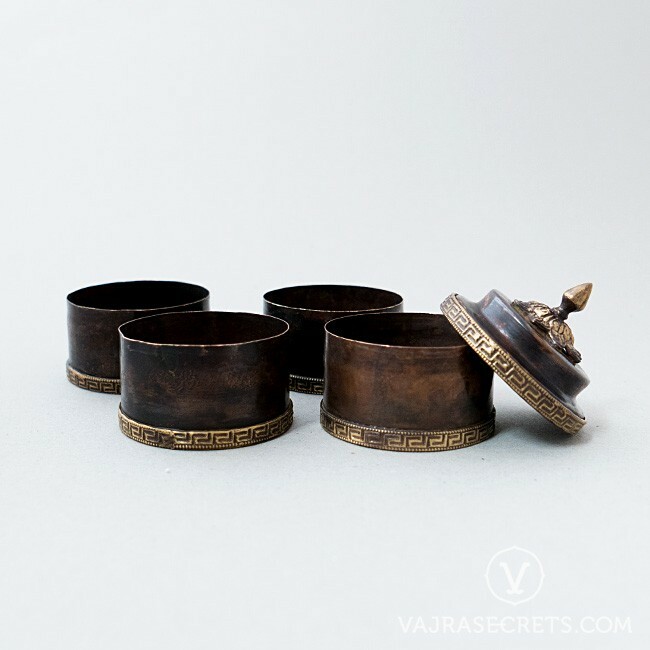 Considered one of the basic ritual items, it is used for storing uncooked rice, barley or any other raw grains as well as other ritual substances for use during pujas and other rituals, for instance during ceremonies to bless the land or buildings, and during the recitation of auspicious verses. When Buddhism was first introduced to Tibet from India, flower petals were commonly scattered during pujas and rituals. However, as flowers were scarce in Tibet's harsh climate and landscape, Tibetans improvised by replacing the flower petals with uncooked grains such as barley and later, rice. The different tiers enable compact and convenient storage of other commonly-used puja and ritual substances, such as mustard seeds, holy rilbus and protector rice. Store respectfully in a clean and nice place when not in use.